This photograph is from a series of portraits of creative black women by Maud Sulter, who is of Ghanaian and Scottish parentage. The series is called Zabat and shows each woman as one of the nine Greek muses. The word Zabat describes an ancient ritual dance performed by women on occasions of power, and her use of it signifies Maud Sulter's call for a repositioning of black women in the history of photography. The model here is the painter Lubaina Himid, who has collaborated with Sulter and whose drawings are also in the collections of the V&A. Here she is represented as Urania, the muse of astrology. Maud Sulter produced the Zabat series for Rochdale Art Gallery in 1989, the 150th anniversary of the invention of photography. It was a direct response to the lack of a black presence at other celebratory events and exhibitions. Here we see the conventions of Victorian portrait photography under the command of a black woman photographer. The backdrop, props and seated pose are all retained but the image is transformed with African clothes, non-European objects and, most importantly, by the resolute black woman at its centre. 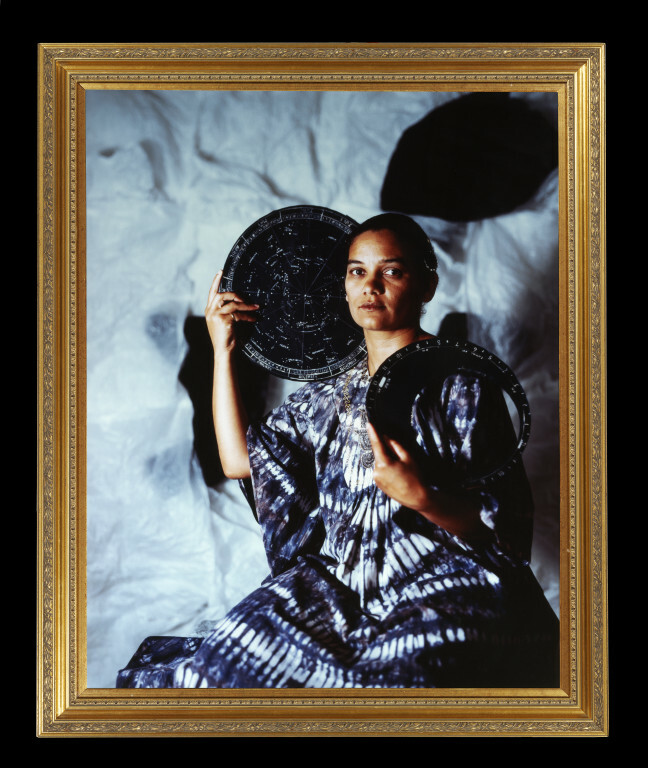 Photograph of Lubaina Himid, represented as Urania, the muse of astrology. Maud Sulter works with photography as well as video and installation. 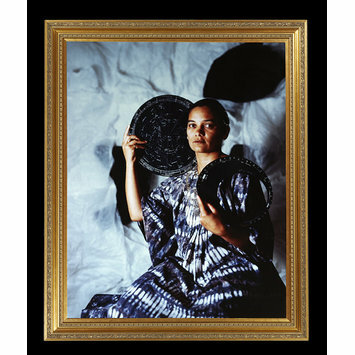 Amongst her recent projects has been a series of allegorical portraits of contemporary black women which used conventional studio techniques along with the trappings of historical displays. Sulter also uses a variety of conventions from portraiture - from 18th century costume to heavy Victorian frames. The contrast between these anachronistic and aristocratic styles and the actual histories of her sitters is used to poetic effect and also raises questions about the nature of 'national' heritage. Katy Barron, Looking In. Photographic Portraits by Maud Sulter and Chan-Hyo Bae. London: Ben Uri Gallery, 2013. ISBN: 978-0-900157-42-4.